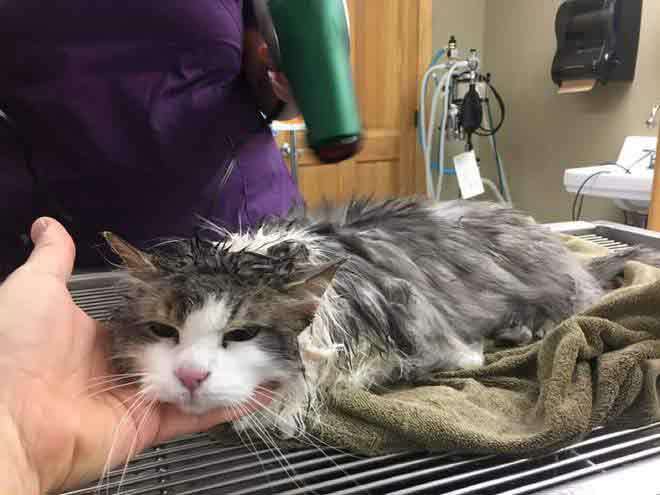 Fluffy the cat was found frozen and unresponsive after she was buried in the snow, she had snow and ice frozen to her fur in Montana last week, where temperatures dropped as low as -13C. 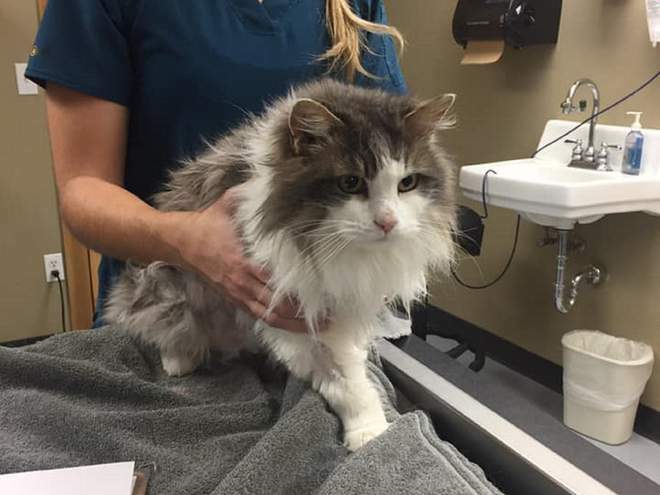 Fearing the worst her owners rushed her to the Animal Clinic of Kalispell nearby. The cat was so cold that her body temperature didn’t even register on the facility’s thermometers. But after a few hours of vets using warm blankets and a hairdryer to wake her up, Fluffy began to show signs of recovery. The clinic posted alongside the images: “Amazing success and survival story from this week. 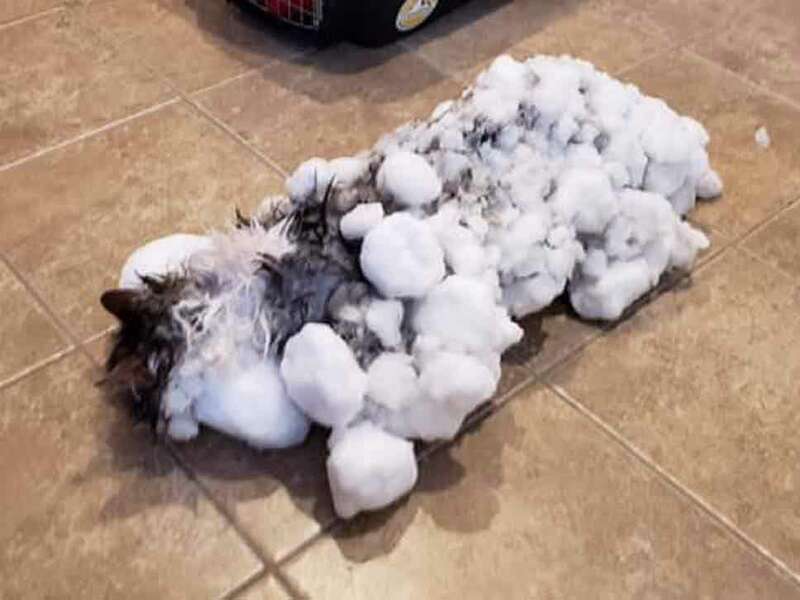 Some clients found their injured cat buried in snow. They brought her to us essentially frozen and unresponsive. Her temperature was very low but after many hours she recovered and is now completely normal. Fluffy is amazing.” It’s so pleasing to see that she made a full recovery.